EXTREME MARATHON HELD IN THE ATACAMA DESERT IN CHILE! VERY HIGH ALTITUDE MAKES THIS A VERY CHALLENGING FEAT. 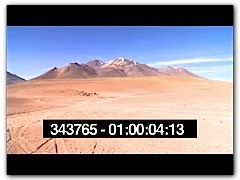 Timelapse of the night sky, Atacama Desert, Cerro Paranal, Chile.